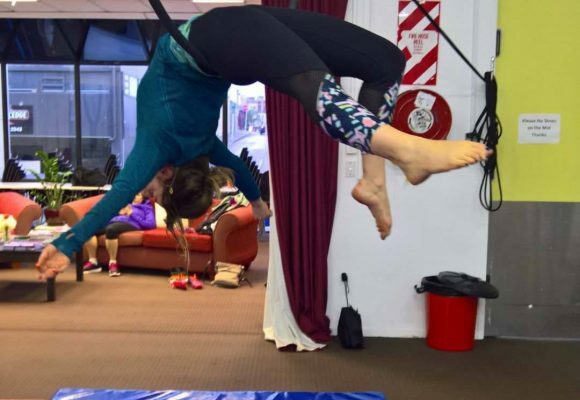 In this class you will learn the beautiful artistry of dancing and expressing movement in, out and around our Aerial Hoops/Lyras. This is a fun and challenging physical class for beginners or students progressing to an intermediate level. 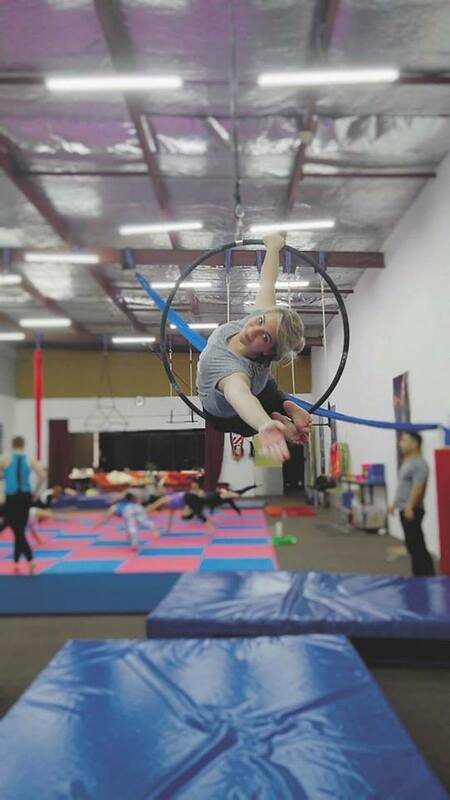 It is also suitable for anyone wanting to try an Aerial Hoop class for the first time. 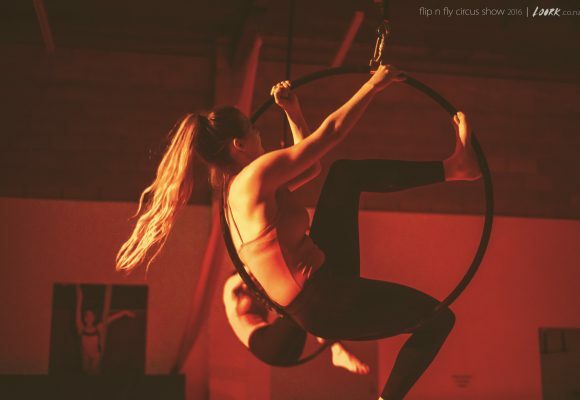 The Aerial Lyra class consists of an initial quick warm-up routine followed by light stretching to get the muscles ready for action in the air. 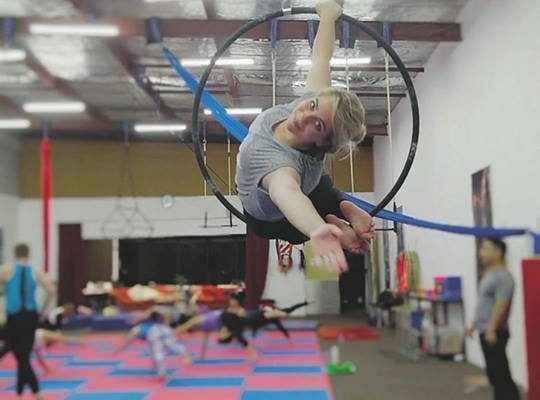 Next, students will be learning a wide variety of skills on a suspended hoop (Lyra), which includes learning new skills and tricks, conditioning, spinning, transitions and sequences. At the end of the class there is also a light stretching sequence focused on increasing flexibility for the bendiest aerial hoop tricks. This is a full body workout class based on strength training, conditioning, stretching and proper aerial lyra technique. 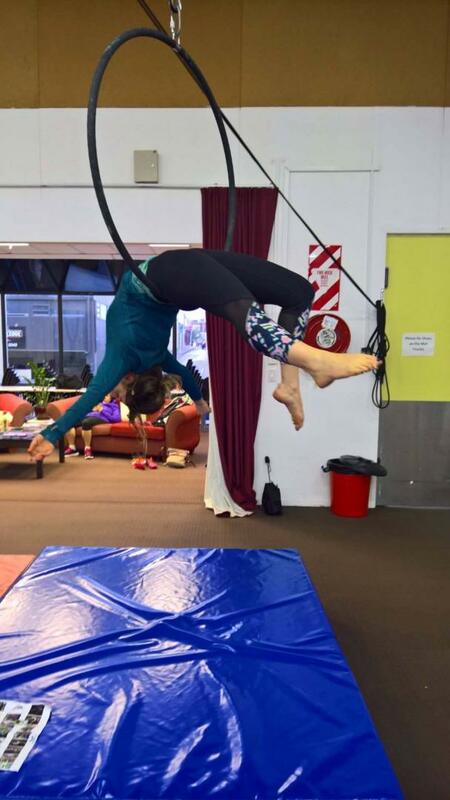 Be ready to hang upside down, twist, roll, drop, spin and sit in the Lyra in a variety of graceful poses – all while having great fun!